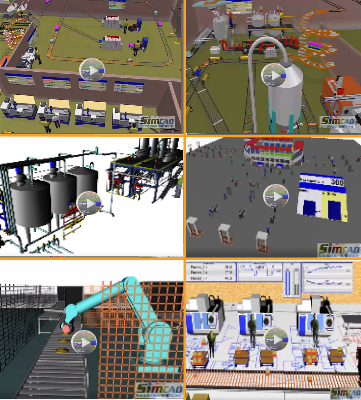 with Simcad automation simulator the user can create a model of all assembly lines, processes, resources and objects to replicate the actual factory. 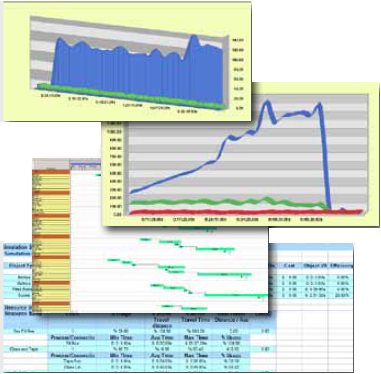 Using the different analysis tools built into Simcad automation simulation software, the user is able to identify possible shortcomings within the production line. Determine Expected PLC Logic in a Virtual Environment. 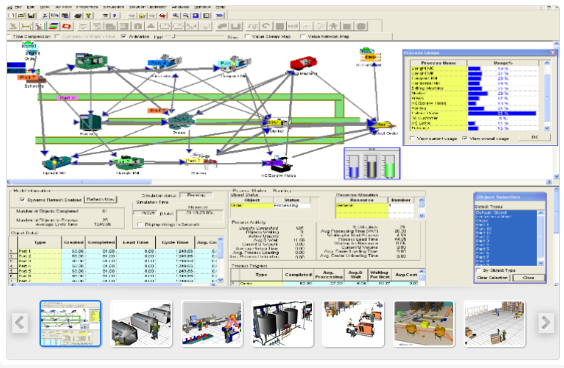 Automation simulation through “On-The-Fly” modifications, different scenarios can be implemented and examined before the company spends time, money and manpower. 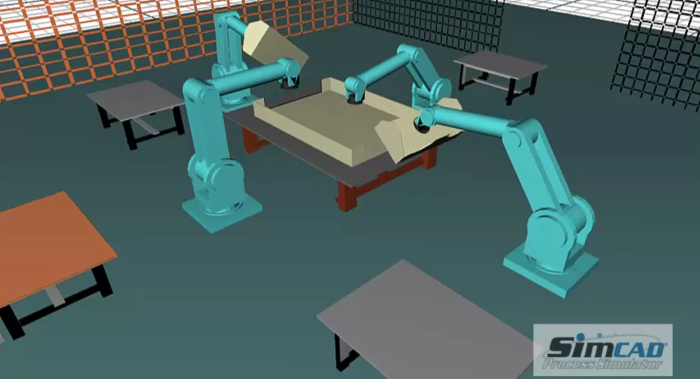 Through automation simulation software, multiple robots can be implemented and their interaction within the active conveyor system can be studied and dissected. Different scenarios, including possible downtime and mechanical failure can be put in place, in order to create the best possible plan of action. Simcad Pro® 13.2 now supports the Oculus@ Virtual Reality glasses with fully animated 3D view of the operation. Simcad automation simulation software allows for model changes to be applied in real-time to the VR world. The VR view is dynamically generated based on model progress, with live changes and analysis. Point and click interfaces make Simcad Pro Automation the most powerful "all-in-one" package to design, optimize, visualize, and analyze without coding.